The attire that millions of people are after, the coat which creates a very tempting personality; the all-new Assassin’s Creed Syndicate Jacob Frye Wool Coat is now ready to be yours. This is one of the finest items in all of our store because of its legendary status and amazing craftsmanship. The coat which does not need any introduction is ready to be yours. It is one of those amazing ones that can totally change the perception of people about you. If you have been under the radar and are looking to make a wide impact on your personality by buying yourself some crazy outfit then this is the best thing that you can get for yourself. The coat is totally phenomenal in every sense and you would surely want to make your personality the same. 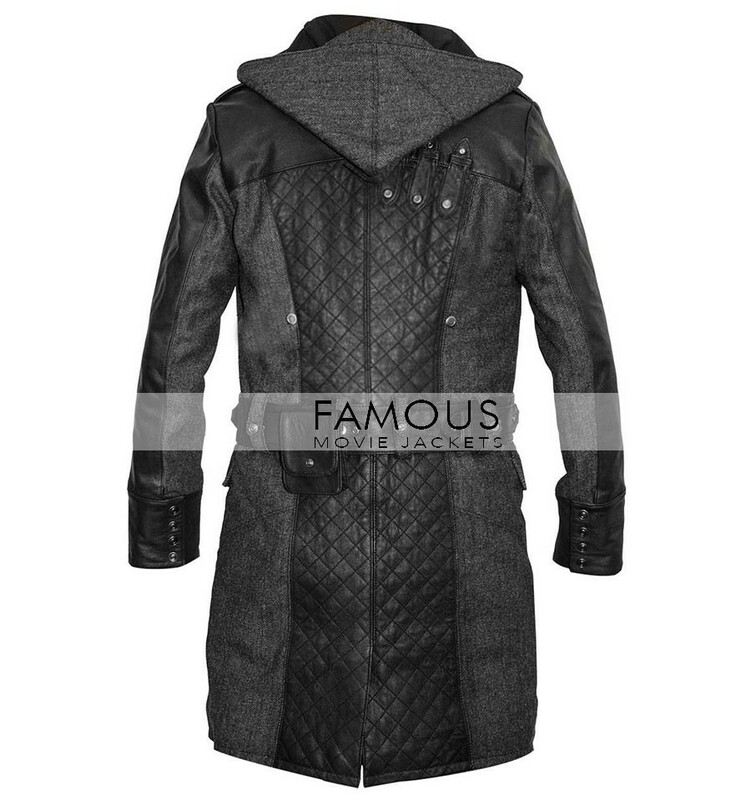 The ASSASSIN’S CREED SYNDICATE JACOB FRYE WOOL COAT is a deal that you would not want to compromise on in any way possible because it is not going to be beneficial in any way. The coat has the elegance and the impression that will leave your doubters impressed and will create a very astounding affect on them. So, with all this much on line, you just cannot keep away from it or can you? Come and get yourself this amazing piece because you really deserve to have it! For the Assassin Creed Jacob Frye lovers, this is a great coat to buy! Recently I purchased this coat from here and the spectacular look it has, cannot explain it.. For only $160, its hard to get it from anywhere else … A courageous yet stylish coat for a man. highly recommended it..